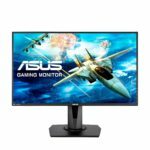 I’d like to post an ASUS VG278Q review because I’ve been using it for a good while now as a main monitor and for the price, you get a ton of features. The maximum resolution is 1920 x 1080 pixels. Today, this is the perfect resolution as the picture quality of videos, games and photos look great at this resolution. 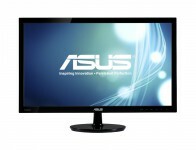 Combine that with 144hz refresh rate, 1ms response time and other great features and you’ve got the ASUS VG278Q. We’ll go over the technicals for those of you that don’t know what those specs quite mean. I’d like to post an ASUS VS228H review because I have used this monitor for about four years and I must say that the picture quality is amazing for its price. This monitor’s maximum resolution is 1920 x 1080. I love this resolution because anything looks pretty good at that res and this monitor does a great job of keeping the quality to perfection at that resolution.